As a chapter of the international House Rabbit Society, San Diego House Rabbit Society adheres to this philosophy. - The House Rabbit Society (HRS) believes that ALL rabbits are valuable as individuals, regardless of breed purity, temperament, state of health, or relationship to humans. 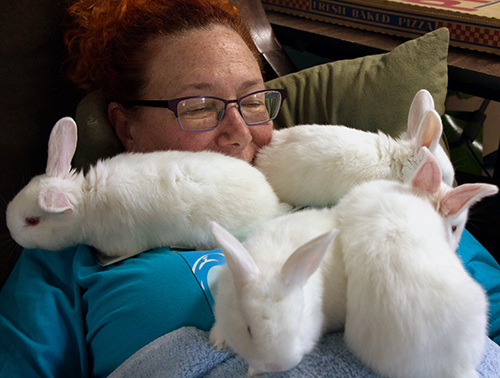 The welfare of all rabbits is our primary consideration. - Except for unique situations, in which wild animals are being nursed or rehabilitated, it is in the best interest of wild rabbits that human intervention be held to a minimum. 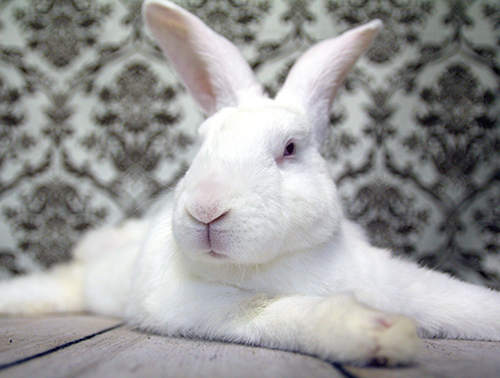 - Domestic rabbits are not the product of natural selection, but rather of human interference by means of breeding programs, and the product is a human-dependent animal who needs protection. It is therefore a human responsibility that these animals be cared for in a manner appropriate to their needs. - It is in the best interest of domestic rabbits to be neutered or spayed, to live indoors in the home where supervision and protection are provided, and to be treated for illnesses by rabbit-experienced veterinarians. - Domestic rabbits are companion animals and should be afforded at least the same individual rights, level of care, and opportunity for longevity as is commonly given to dogs and cats who live as human companions. - Rabbits are intelligent, social animals, who require mental stimulation, toys, exercise, environmental activity and social interaction from, as appropriate, people, other rabbits, or other animals. We are a 501(c)(3) nonprofit charitable organization and our federal identification number is 65-1262427. 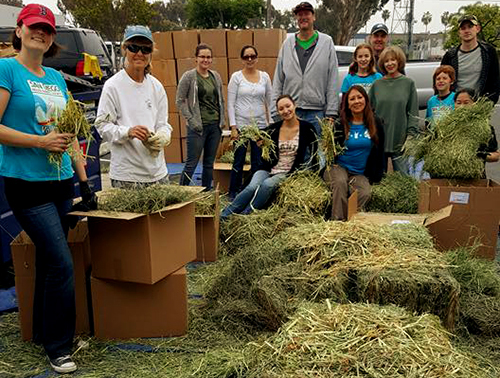 Please use our legal name, San Diego Companion Rabbit Society, Inc. and this ID number when making any charitable contributions to our organization. Your donations are tax-deductible to the extent allowed by law. 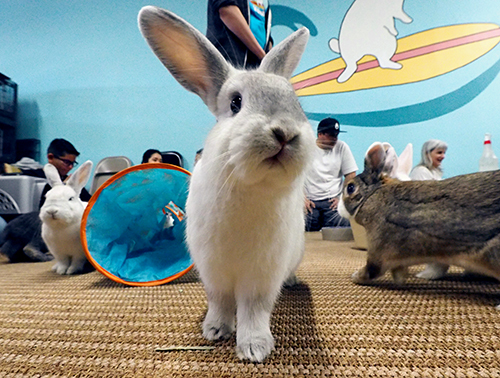 San Diego House Rabbit Society (SDHRS) is a chapter of the international House Rabbit Society (based in Richmond, CA) and has been at work in San Diego and southwest Riverside counties for more than 20 years. We celebrated our 20th Anniversary in 2012. We have a satellite rescue associated with our chapter, Lucky Bunny Rabbit Rescue, based in Murrieta, CA and serving the communities of Wildomar, Lake Elsinore, Murrieta, Temecula and surrounding areas in southwest Riverside county. This rescue group partners with and supports the shelter, Animal Friends of the Valleys, in Wildomar, CA. 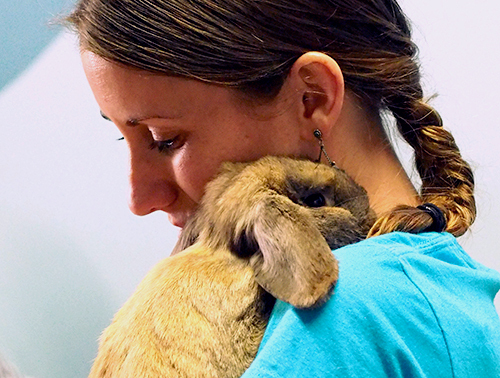 Our Mission is to rescue abandoned domestic rabbits within our community and find them new homes, support our local shelters in the care of their rabbits, and educate the community on the proper and responsible care of domestic rabbit companions. 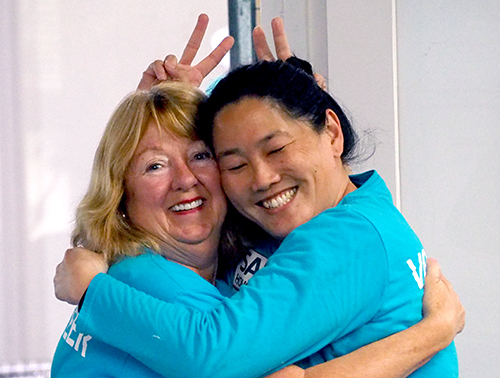 SDHRS has supported local shelters and our community for over 22 years! 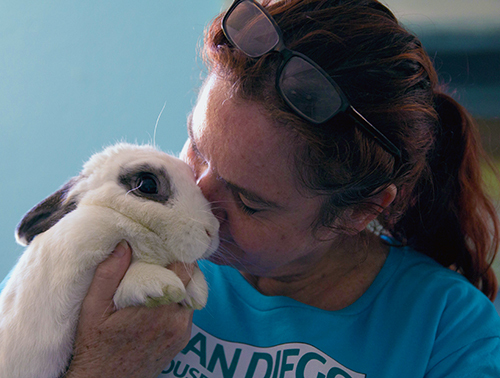 Become a member of San Diego House Rabbit Society and support the work we do on behalf of abandoned rabbits in our community. $25 per year or $35 for two years. Discounts on standard and special items at the Bunny Store, and more! Complete the form, print it from your computer, and either mail to us or drop off at our SDHRS Bunny Store in Kearny Mesa. 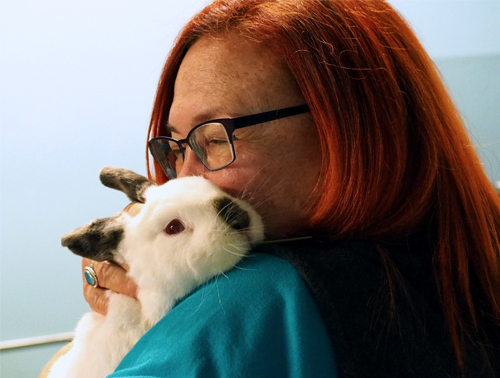 or, drop off at our Bunny Supply Store, 4807 Mercury Street, Suite A, SD 92111 on Wednesdays through Fridays 12:00 p.m. to 5:30 p.m., Saturdays 11:00 a.m. to 5:00 p.m. or Sundays 12:00 p.m. to 4:00 p.m.